Italia café by Aura is a small café in pul prahalapur, surajkund road. They serve cakes and pastries, pizzas, burgers, hot dogs and much more. It’s primarily a bakery shop serving various cakes at very affordable prices. 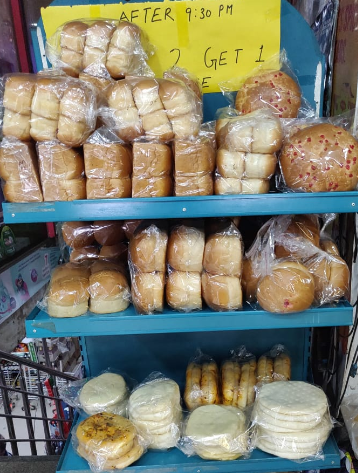 But as soon as you enter the shop, you’ll see the bakery items placed in the refrigerated counters on the right and as you go a little inside, there is a café at the back of the shop. The small café isn’t the best looking cafés you’ve seen but they serve some really good food items. The chairs remain unorganized and the café isn’t really squeaky clean. But the best part about the café is the old man regarded as baba ji. He used to sell brownies in a tiny kiosk placed in front of another restaurant a few years ago. And now he has a restaurant of his own and he serves everything from pizzas to pastas, to burgers to soups and salads. He is not only a hardworking man but an extremely warm and friendly human being. He was constantly cracking jokes and talking to the kids around, while I was there. Aura is not only a café and a bakery shop but it also has a grocery shop in the basement. You can find everything in that grocery store that you’d probably find in a big retail convenience store. They also sell their own breads and pizza bases. Their pastries are quite delicious, moist and fresh but their decorations can be a bit too colorful and juvenile. I’ve order a few times from Aura and each and every time the cakes have been very good. Their pastries start from rupees 30 and goes up till 50 rupees. They also serve swiss rolls and lava cakes, other than the more traditional pastries including vanilla, pineapples, chocolate, choco chips and black forest. Their brownies are really good, perfectly moist and chocolaty. Their savory items are equally as good, the items on the counter keeps changing; sometimes they serve chilli paneer pizza or sometimes corn and paneer pizza. 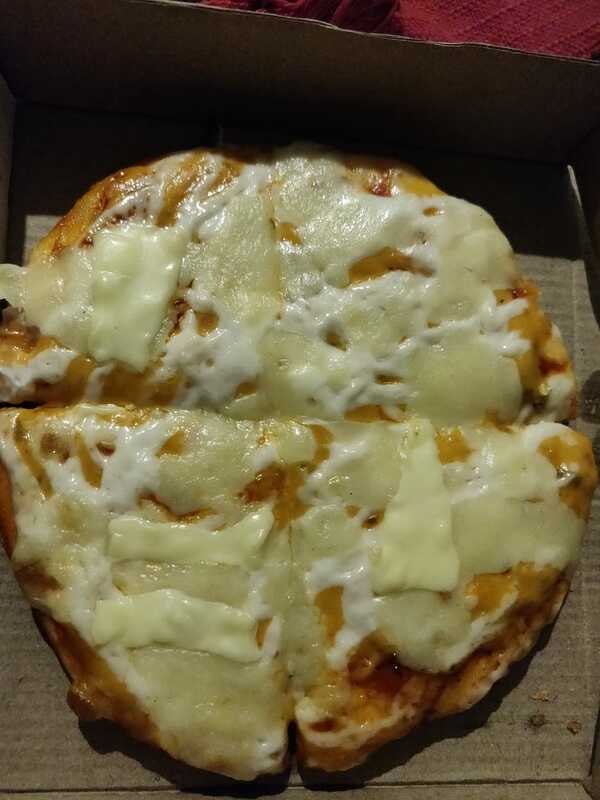 The pizzas you see on the counter are sold in slices and they cost 50 rupees. To eat a whole pizza or order it, you need to go to the café. I always order the picante pizza which is the four cheese pizza and at that price point, it’s probably one of the best. The small pizza is for 99, the medium pizza is for 129 and the large pizza is for 279. The pizza is very cheesy and delicious. I’ve also had their aalu tikki burger which is for 35 rupees, and that was pretty great too. The buns were perfectly toasted and the aalu tikki was perfectly seasoned. 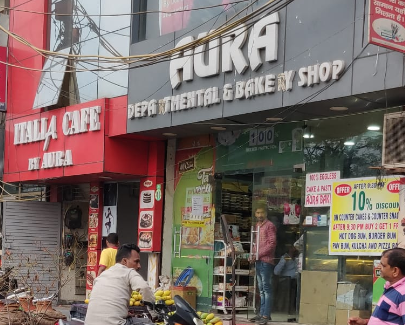 Aura is great place to hang out in after your tuitions or just the right place to be at if you want to eat sufficient without burning a hole in your pocket.